A basic premise of our scriptures is that God is Creator and everything else has been created. God has given us tremendous freedom by creating us in God’s image and by giving us dominion over creation. So when was it that humankind decided that having "dominion over" meant we could do what we wanted to the earth and its creatures? Is that what God intended? The Hebrew word for “to have dominion” is "radah," meaning "to rule over". It is used frequently in the Old Testament to describe a king’s rule over subjects or nations (see http://www.directionjournal.org/article/?922). But there is an implied sense of responsibility and care involved. When we consider the process of fracking, where does humankind's God-given mandate of dominion come into play? Fracking has allowed companies to obtain natural gas and oil from sources that were previously too deep to reach. But at what cost? Are we being responsible dominion-rulers of the earth by using the fracking process? Common sense tells us that injecting the earth with deadly chemicals might be a bad idea. What about possible contamination of water aquifers beneath the surface? Accidents have occurred and will continue to occur. Human error is inevitable. Spills occur on the surface (see http://www.propublica.org/special/north-dakota-spills). Also, companies are rarely using profits to develop clean, sustainable energy sources. A responsible ruler that has dominion over his/her subjects exercises authority with care and compassion. And our Ruler, our King, is Jesus Christ. How does Christ exercise dominion over us? Jesus Christ, and God whom he has revealed, is far more compassionate and loving than we realize. Jesus Christ is our model as we exercise our God-given dominion over creation. We are made in God’s image. To be faithful to that image, to follow the example of Christ, how can we do no less than what is best for the earth rather than what is expedient for ourselves? Rev. Paul Henschen is pastor at The Presbyterian-United Methodist Church in Ellendale, North Dakota, and he serves Presbyterians for Earth Care as the Midwest Regional Representative. Click here to download the entire 2013 PEC Lenten Devotional, "From Ashes to Resurrection, From Soot to Hope"! On February 17, I joined tens of thousands of people on the Mall in Washington, DC at the Forward on Climate rally that was organized by 350.org and the Sierra Club. We gathered to encourage President Obama to live into the promises and commitments he has recently made in his Inauguration and State of the Union addresses; we gathered to raise our collective voices to tell President Obama to reject the Keystone XL Pipeline. This system would transport crude oil from the tarsands in Canada to several refineries in Illinois, Oklahoma and the Gulf Coast. In doing so, it would further expand our reliance on fossil fuels, one more step in the wrong direction for climate change. It would add to rising temperatures and sea levels. It would threaten sensitive ecosystems with potential oil spills. It would add to the threat that climate change already gives the most vulnerable people in the world: that they will suffer first and worst as climate changes. I marched with a woman from my congregation in California and two of her friends from college. The three of them are in my grandparents’ generation and they kept remarking at how wonderful it was that there were so many young people at the rally. I kept looking around at the crowd, amazed at how wonderful it was that so many different kinds of people were gathered together. Young, old, powerful, disenfranchised, Christian, Buddhist, black, white, Native, Canadian… the diversity of the people was encouraging. The Keystone Pipeline will not just effect the economy, it will effect all creation; we can’t forget that. I don’t want to ascribe Christian language to Chief Thomas’ remarks, but her speech got me thinking about the Christian sacrificial lamb, Jesus, the one who gave up life so that all creation could be redeemed and connected to God. I felt God on the streets of Washington, DC during the rally and felt the Spirit moving in the crowd, as we marched to the White House to call on President Obama to work for a future where the lives of all humanity and all creation are protected and not traded for fossil fuels. I remembered Jesus, who worked in the world to heal the sick, calm the distressed, and find the lost, so that all creation would know God. Go to one of the internet mapping sites; set to – satellite image; search for Fort MacKay, Alberta, Canada; and scroll out a little so you can see the land around the town of Fort MacKay. You will get an aerial view of what tar sands mining operations look like. You will see open pit strip mines, processing facilities, and tailings ponds straddling the Athabasca River. Check out the mileage scale on the map, and note how large an area has already been denuded of vegetation and turned into an industrial wasteland. And know that this is just the beginning of the destruction of forests, and the pollution of air and ground and surface waters. To see maps of what more is planned go to http://oilsandstruth.org/maps-tar-sands-development. The whole point of tar sands mining is of course to supply gasoline for your car and fuel oil to heat your home. To expedite the process of turning tar sands oil into consumable products in the United States the industry has proposed the Keystone XL pipeline to carry the tar sands crude from Canada to Gulf Coast refineries. Unfortunately the energy inputs required to mine, transport, and refine tar sands oil are much higher than those associated with conventional oil, adding an additional burden of carbon dioxide to the atmosphere. So maybe you should consider spending some prayer time this Lenten season in mourning – lifting up the damaged earth and its damaged people to God. Lament the ongoing desecration of forests, rivers, lakes, ground water, and air quality as the tar sands are exploited. Mourn the additional burden of carbon dioxide being added to the atmosphere. Cry for our impoverished imaginations that have trapped us in ongoing cycles of ecological and cultural destruction. Mourn, but find strength in the wisdom of Jesus, "Blessed are those who mourn, for they will be comforted." And then in the power of the comforting Spirit get back to work at stopping the Keystone XL pipeline and at getting a carbon tax in place to reduce greenhouse gas emissions. Rev. 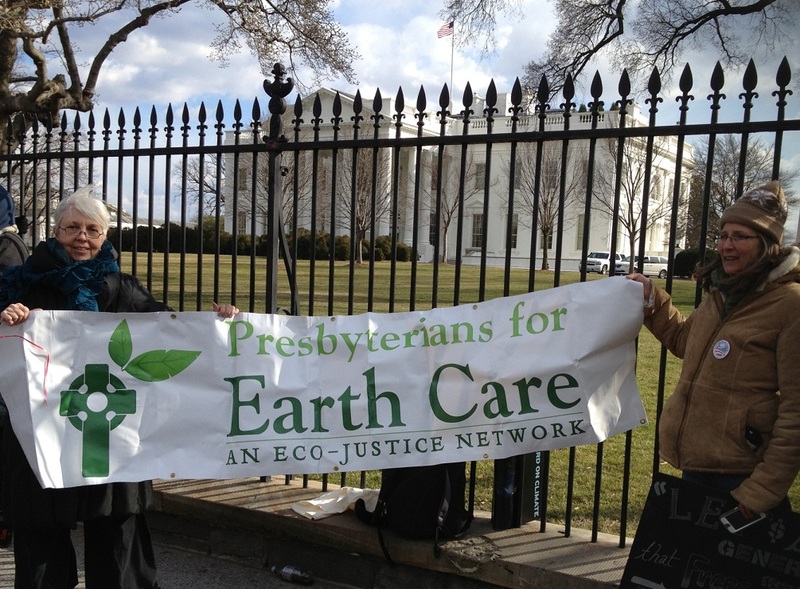 Dana Eglington is the Northeast Regional Representative for Presbyterians for Earth Care. He is pastor of Jacksonville Presbyterian Church, in Bordentown, NJ and a participant in its Earth Care Ministry. So soon we come from angels singing about a new born babe to the dusty road leading the apostles down from the mountain and into Jerusalem. We cannot go back and travel with them but we can take our own journey, marking our path with the five, carefully and prayerfully chosen issues for PEC advocacy. There are so many things that could be added and we invite you to lay the ones that press on your hearts alongside our five. Come. The road is better lit when we see others are carrying candles, too. Take heart, in these weeks of Lent. We follow a well-worn path toward an empty tomb! Ash took on new meaning for me when I learned that, although Washington State is shutting down its last coal mine, the local energy company still sources one-third of its power from coal mined in Montana and extraction is going to explode as coal is taken from those same plains where the buffalo roamed and the skies were not cloudy all day and sent by train to ports on the west coast for export to Asia. Photos of the train terminal in Bellingham, Washington show a continuous cloud of soot hovering in the air around the depot. Does God’s creation have a forehead? Are we marking a cross upon that sacred brow? The five areas for advocacy that PEC has chosen are; mountain top removal, fracking, Keystone XL Tar Sands, coal exports (by train), and divestment from oil companies. The first four concern our creating energy that is putting an ashen cross on the forehead of us all. If there is hope for slowing and then reversing this ashen cross it comes from a faithful walk with the man who spoke truth to the powers of his time, found twelve stout companions to travel with him, and fed 5,000 people with very little. Ash Wednesday offers us an opportunity to assess our strengths, renew our faithful journey in the shadow of this Man and find gratitude for the fact that there are many more than twelve of us who walk together toward an ash-less future. May the ashes we wear on our foreheads call us to a Lenten time of simplicity. May we enter, with the twelve, the confusion and sadness of that long ago journey to Jerusalem. 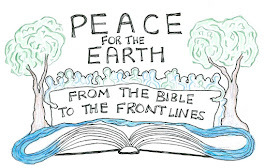 Holly Hallman is the Northwest Regional Representative for Presbyterians for Earth Care. She is a native of Colorado and lives in Seattle. She is often found where there are opportunities for salmon advocacy.